Racing Point have concluded a busy day of 2019 launches after unveiling their new car at the Canadian International AutoShow in Toronto. Mercedes kicked Wednesday off with their W10, the RB15 from Red Bull swiftly followed and then the floor was given to Racing Point as they fully embark on a brand new chapter with Lawrence Stroll at the helm. Stroll is at the front of the consortium who completed the takeover of the previously named Force India, who were forced into administration during the 2018 season. The new name of ‘Racing Point’ was initially supposed to be a placeholder but instead the name has stuck. However, Racing Point have bagged themselves a title sponsor in the form of SportPesa. Their full name is ‘SportPesa Racing Point F1 Team’. So, the pink stays, but the blue of SportPesa has found its way on to the new car for a slightly bolder look. 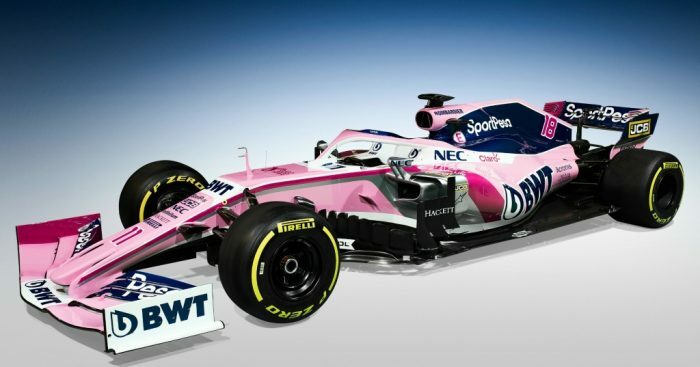 Racing Point will be able to start on a more equal footing in 2019, after the constructor points earned by Force India up until the takeover were wiped away. 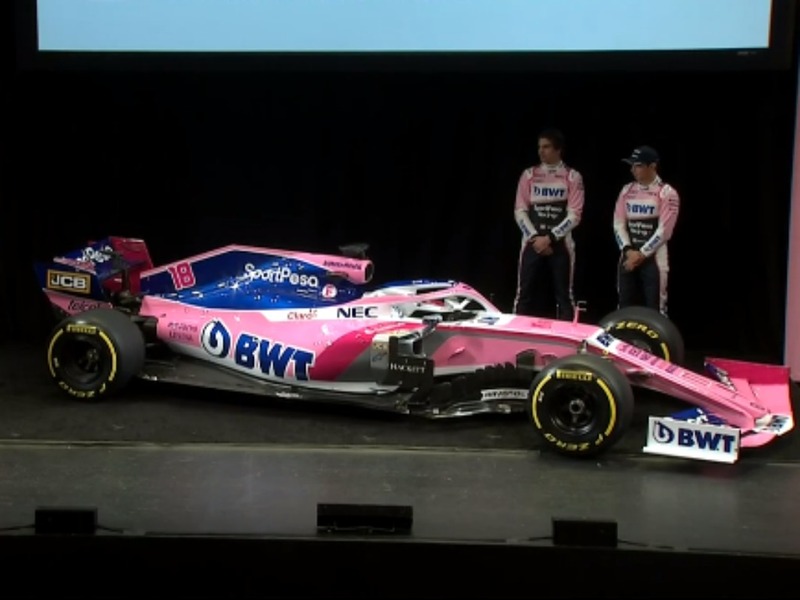 “The long-term aim is to take this team to the very top of the sport,” said team principal Otmar Szafnauer at the launch show. Sergio Perez continues to be the mainstay of the team, but has a new team-mate in Lance Stroll, Lawrence’s son, who has taken Esteban Ocon’s place. 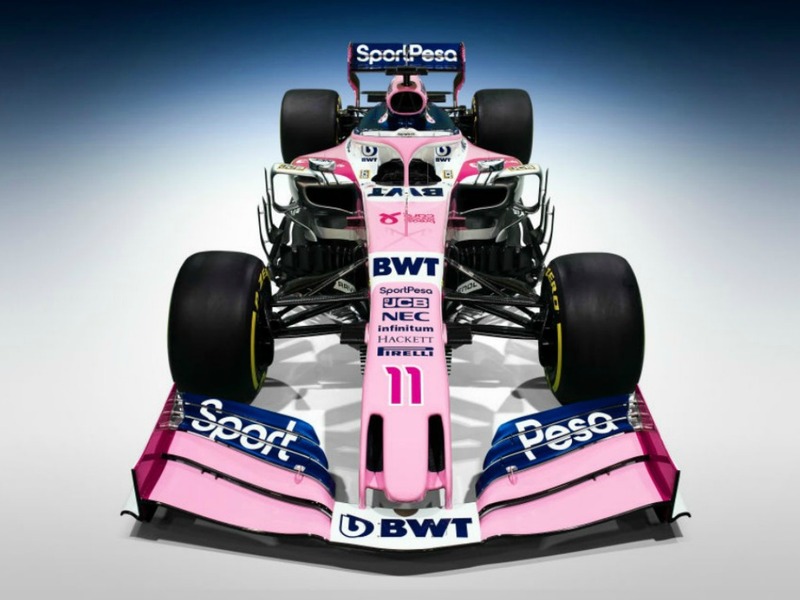 After a disruptive 2018 campaign, Racing Point will be hoping to build on the foundations left by Force India and perhaps secure best of the rest in the Constructors’ Championship, a feat achieved in both 2016 and 2017.